I am passionate about my work. Whether I work on Java (web)applications or iOS games / apps, I always deliver high quality software. I am a strong believer of Test Driven Development (TDD). But most of all I like discussing and creating software together with a team of enthousiasts. A process that helps me delivering software that matters is Scrum. I’m a Certified Scrum Master (SCM), but more important than the certificate or following the precise rules of Scrum is to adapt it in your team to your own needs. The ideas behind scrum are way more important than the rules. Interested in hiring me? Give me a call or use the contact form and I can tell you exactly when I will be available. 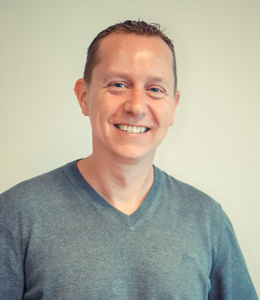 Mario Klaver is een freelance Agile coach, Scrum Master and developer. Motivated by simple solutions, direct interaction with end user and collaboration.